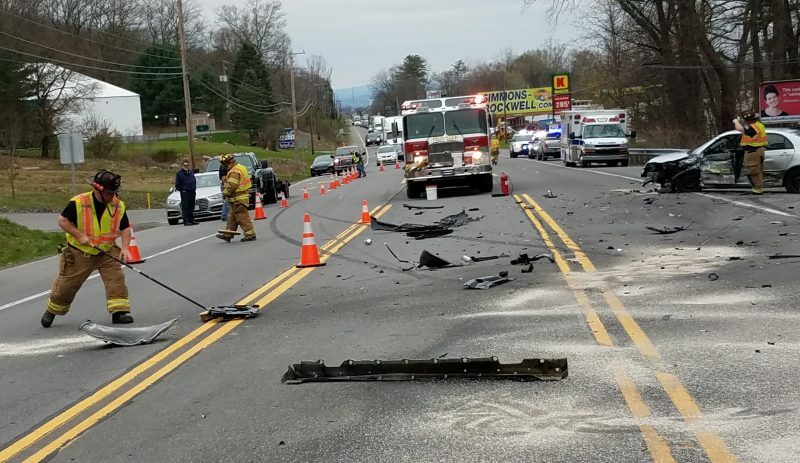 WATERVILLE – For the second time in three days, a motorist was killed in a crash on Little Pine Creek Road in Cummings Township, state police said Tuesday morning. Michael Conway, 40, of Dushore, died Sunday night at Geisinger Medical Center, Danville, while undergoing emergency surgery for injuries he suffered hours earlier in a two-vehicle crash, police said. Driving a 2005 Saturn Ion, Conway, traveling at an unsafe speed, lost control of the vehicle as he was heading south in the 1400 block of Little Pine Creek Road about 2:45 p.m., police said. Conway failed to negotiate a right hand curve and traveled into the northbound lane, where he collided head on with 2005 Chevrolet Silverado pickup truck driven by Douglas Confer, 51, of Jersey Shore, police said. Conway was flown to Geisinger, where he later died, police said. On Friday morning, a 47-year-old Green County man was killed when his pickup truck slammed into a tree in the 5000 block of Little Pine Creek Road. The driver was pronounced dead at the scene after the crash was discovered about 6:30 a.m. The distance between the crashes was about four miles.